Rumours are currently circulating that the Spice Girls will perform one more gig after they wrap up their comeback tour. Their arena tour which ends on June 15 in London isn't expected to be the girls last time on stage as word is spreading that the foursome will take their spice fever to Glastonbury to headline the 2019 bill. Speaking to The Sun, Mel B said Glasto plans were being "talked about" although she personally thinks it'd be a "funny" move to bring a cheesy pop group to the festival. "I think Mel C would really appreciate us doing that — she’s the cool one. She’s the cool indie chick," the star continued. Back in May, Emma Bunton also spoke a few words about Glastonbury saying it'd be "nice" if the band landed a slot in the festival. 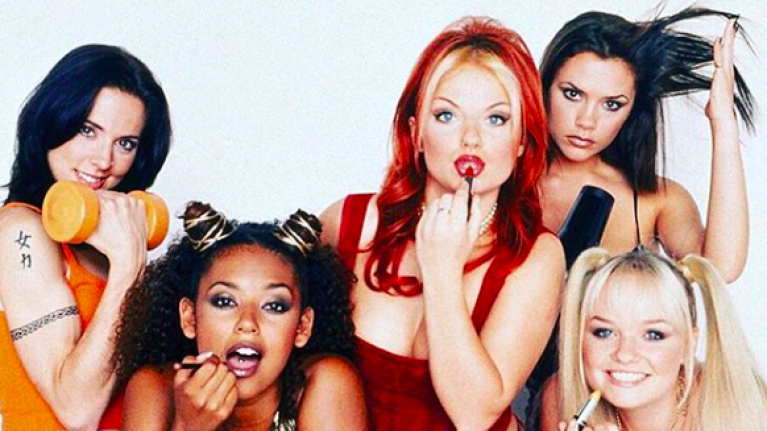 The Spice Girls never performed at a festival during their reign in the noughties and so, could this be the career move their comeback needs? Starting in Dublin, the girls will be kicking off their tour in Croke Park on May 24, which will then see them perform 9 stadium shows, all of which have been sold out. Glastonbury lands at Worthy Farm, Somerset from June 26 -30.